This Septuagenarian has special reason to celebrate 70th Anniversary of Indian Army. On grant of Short Service Regular Commission in the rank of Lieutenant, I joined Indian Army Medical Corps on July 26, 1970. I measure the length of my lifetime using Anniversary Dates of Indian Army as yardstick. Indian Army Day marks a day to salute the valiant soldiers who sacrificed their lives to protect our country and the people living in it. The day is celebrated on January 15th every year. On this day in 1948, Lieutenant General K. M. Cariappa became the first Indian Commander-in-Chief. Army played equally important role as the other freedom fighters in instilling democratization in India. General Kodandera Madappa Cariappa shared a good bonding with both natives and Britishers and then succeeded General Roy Butcher of British Army to become the first Indian Commander in Chief of the democratic India. The Army Day celebrated on 15th January, 2018 will be the 70th Anniversary of Indian Army. The Army re-dedicates itself to become a part of the ‘War Winning Team’ on this day. The day begins with paying homage to the martyred soldiers at the Amar Jawan Jyoti at the India Gate, New Delhi. 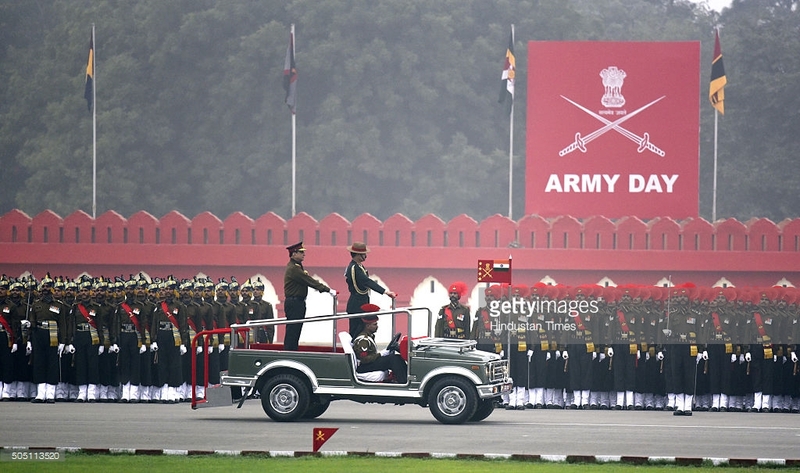 Parades and many military shows which features the technology and achievements in Army are held at the Delhi Cantonment. Unit credentials and Sena Medals were also presented for gallantry on the occasion every year. The Punjab Regiment contingents pass through the Rajpath during the full dress rehearsal for the Republic Day Parade 2011, in New Delhi on January 23, 2011.